Sadly, I didn't finish the Sitara code by the end of the month. This month is something completely different: I'm now working for IBM in the Linux Technology Center. That doesn't mean I'm leaving BSD, of course. Got a mail message from Mark Peloquin, who is working on the Enterprise Volume Management System Project, and spent most of the day comparing that to Vinum. There are some interesting possibilities there. In the evening, Yvonne saw a big fire at our next-door-neighbour's house, about 1 km away. Sure, today was the first day after the end of the fire ban season, but these flames enveloped the house, so I called the fire brigade and then drove over to see if I could help. When I got there, I found they had lit this fire right in front of the house, and pretty close to the trees. Called back, but the CFS decided to come anyway and put it out. Some people don't understand that even out of fire ban season, you need to be careful. Spent the morning looking at EVMS. There's a lot of information there; it'll take me a while to understand it. In the afternoon, talking to Tridge about the Samba build farm he is setting up. He wanted a FreeBSD machine in the farm, but by the end of the afternoon we had four more machines: echunga.lemis.com, running FreeBSD 4-STABLE on Intel, zaphod.lemis.com, running FreeBSD 5-CURRENT on Intel, flame.lemis.com, running OpenBSD 2.5 (yes, I know, I need to upgrade it) on a SparcStation 5, and beast.FreeBSD.org, running FreeBSD 5-CURRENT on an alpha. Up early for a phone call this morning, and somehow the day stayed like that. Finally finished my various phone calls round 13:30. Spent more time looking at EVMS. I still have a lot of questions. Finally the pressure is letting up, and I have time to look at things in more depth. Spent a bit of time discussing an interesting difference between BSD and Linux which arose from the EVMS mailing list: it seems that in Linux people consider it reasonable to emulate the ioctl interface in the kernel, including all the copyin and copyout stuff (which Linux calls get_user and put_user). That will take a bit of thinking about. Also spent some time rearranging my test equipment. It's amazing how many cables accumulate and then get taken out of service. Things are looking a lot tidier now. not equal on line 50! The problem seems to be a data inconsistency between the buffer cache and the VM system. It doesn't happen under FreeBSD. Well, my OpenBSD installation was version 2.5, on a SPARC at that, so I installed the latest version I had, still only 2.7. I must get hold of 2.9 when it comes out. Also installed the latest version of NetBSD I had, 1.4.2. In each case, the problem was still there. I must get hold of NetBSD 1.5 and try that; I had thought that NetBSD already had a unified buffer cache and VM. Lesley James, the wife of Ashley the vet, came along in the afternoon to look at the horse float we had for sale. She made an offer which wasn't good enough to accept immediately, but we may do. Talking with Benno Rice on IRC today. He is gradually getting his PPC machine to a point where it can boot FreeBSD. Decided I finally needed to find out more about PPC, and downloaded an architecture manual, about 700 pages worth. Spent most of the day wading through that. In the afternoon off to look for a new horse float, and found one that we'll probably buy. Tried to get Lesley to give us a better price, but she wouldn't. Reluctantly agreed to hers. Finally got around to installing Palm Pilot software today. Why do the FreeBSD ports install in /usr/local/palm/? One result is that man can't find the man pages. Spoke to Dave Desrosiers, who is now maintaining pilot-link, and ended up porting a newer version. Also a fair amount of talk on IRC. Ended up porting Paul Mackerras' dirdiff, which was pretty straightforward. More work on merging various changes to Vinum. It looks as if I should be copying buffers whenever there's more than one plex, or when the plex is RAID-4 or RAID-5. In the evening to pick up the new float, which we managed to get $200 cheaper than the asking price. It has electric brakes, and we discovered a rather interesting buglet: since our car doesn't (yet) have a control unit for the brakes, there is no signal to the brakes. Under these circumstances, crosstalk from the indicators causes the brakes to fire and jam up the brakes. Drove home without using the indicators. Today (well, yesterday in the USA) was a significant step in the history of Linuxcare: they laid off about 75% of their staff, including Ceren Ercen, Henry Hall, Rasmus Lerdorf and Jes Sørensen. The only person I know who is still there is Dave Desrosiers. A pity to see them go; the concept was good, but it's clear that even in Open Source you need good management. More work on Vinum today. I can appreciate that it's not good to export internal kernel structures to userland, but looking at the ioctl interface I can't really see that the effort of not showing the data is worth it. The alternative is to define two structures, one a subset of the other, and only hand the userland subset to userland. That again makes it very difficult to come up with clean definitions. More reading up on PPC hardware. It would be nice to have some real hardware to play with. Spent some time today applying the finishing touches to the new AUUG Web server. We're now running on the new web server, and I can finally start tidying up old cruft. Also more work on Vinum, and now have the restructure, such as it is, complete. Added one additional “feature”, copying write buffers under certain circumstances. In particular if you have an mmap'ed buffer, there's a problem that userland might change the buffer while it is being manipulated by the driver. As long as you only do one thing with the buffer, you can live with that, but if you write more than one copy, or first use the data to calculate parity and then write it, you can end up with serious data corruption if it changes. In the evening to the AUUG SA chapter meeting, the first under the new leadership. To my surprise, we had as many attendees as last time. Here are some photos. Unfortunately, we weren't the only people in the room, and the others were noisy. We'll have to check alternatives. Yesterday was a good day, and I got a lot done. Not so today. Somehow everything went wrong. The minor mod I made to Vinum didn't just not work, it failed to work in a completely unintelligible way. Spent much of the day trying to work out why the request buffer ended up using the data buffer of the original buffer header instead of its own, but failed. Finally Greg Edmonds brought his spray unit to spray the broad-leaf weeds in the paddocks. And we discovered that the battery of the tractor was flat. Grrr. Put it on charge. More work on the AUUG web site. Things are looking pretty reasonable now, and we already have a placeholder web page for the SA Chapter. Over to Sarah. Finally got that Vinum stuff working! Turned out to be a typo in some of the new code I introduced, replacing the wrong buffer. I should have been able to find out that without debugging, but the problems we're having with the debugger have made things worse. Moved on and built a DEVFS kernel, which worked with relatively few problems. There's a general issue, though: in a conventional /dev you can create multiple nodes with the same major and minor numbers, but DEVFS silently fails if you try to create a node with an existing pair of major/minor. Went out to start the tractor, and the battery was still flat. The power point to which I connected the battery charger appears to be defective. Grrr again. Now I won't be able to do it until Sunday. Early to bed tonight ahead of a flight to Sydney tomorrow. The alarm went off at 4 am this morning; what a time to get up, and I was still feeling pretty tired as I synced my laptop. Then I looked at the clock: 3:20 am. Grr. I must have moved the time on the alarm an hour forward as I set the alarm. To the airport and again tried to connect to the Skynet Global service, again in vain. The symptoms were identical to the last time: I was able to authenticate, and I got a connection and was able to get about 4 hops from my machine, still in the “unroutable” 10.x.x.x block. In the meantime, instead of transferring my http request to the correct place, I got a new login screen. I've now subscribed to the service for 2 months and have not been able to use it. Tried calling up support, but of course they weren't available before 7 am. In Sydney, arrived early for the meeting, so called up SkyNet Global support, who obviously did not understand the issue. They wanted to know what kind of operating system I was using, suspecting link problems. That must be the bulk of their problems: the bloke was ignorant of how the network works, and didn't understand the term “hop”, so decided to leave that out of his report and just say that I was running “SreeBSD” and couldn't connect to the network. Sheesh. Luigi has his own problems. His company is very Microsoft-centric, and we were unable to connect to the Internet. It seems that his network administrator has never heard of ssh, and the only access allowed to some IPs only was telnet. For some reason they also use a /21 on their internal network; I'll never understand the decisions that Microsoft makes. The meeting itself was normal enough. We're behind on a lot of things, and agreed that we really had to pull our socks up. Had a discussion that resulted in us not having to have a committee election for next year. We ended up with David Purdue being returned as President, Luigi as Treasurer, myself as Secretary and Sarah Bolderoff and Michael Paddon as normal committee members. We'll be sure to coopt Malcolm Caldwell and Peter Gray once we start operations, but we can't do that until then. Spent some time discussing possible new committee members. We need younger and more active members. After the meeting proper, David Purdue dragged out a Melodion (I think that's the name of the instrument) and started playing it. Photos of that and a few other things here. To a pub in Botany in the evening. Conrad Parker came along and gave us some details about how they organized linux.conf.au. The biggest difference appears to have been that they had many more attendees. We need to attract students again. Up early and discovered a 100 MB/s Ethernet connection in my room. For the fun of it, connected it up and took a look. Like SkyNet Global, they expect a connection via a web browser. It's sad how most people's conception of the Internet is confused with the Web. Connected up and discovered that they wanted $3 per period of 3 minutes, mercifully capped at $29 per day. It's also tied to your MAC address, so if you lend your Ethernet card to somebody, you could end up being charged for it. Took a look at the legalese, but nothing even stated what services were being provided. I had to use a screwdriver to press down what was left of the tag. ICMP doesn't work either. Given that their support personnel is less than stellar, this would seem to be a short-sighted attitude. Sent some mail to check the mail server. It arrived from skynet.lnk.telstra.net [139.130.35.38]. I wonder what the EHLO line said; at least wantadilla accepted it with no problems. Off on the flight to Adelaide, wedged next to an obese man overflowing from his middle seat. When I asked him to try not to push me into the corner, he became obscenely abusive. There should be a size limit in Economy Class. Today was the day I was supposed to be spraying the broadleaf weeds in the paddocks. Right on time, we got a shower which was just enough to wet the weeds and no more. Grrr. We have real rain forecast for the next few days, so it'll probably be next weekend before I can get round to it. In the evening, realised that we now have had Perdita for a month, so took some photos of her. She's beginning to look like a real cat now. The tilers came in this morning and tore out all the tiles in the kitchen. What a mess. I came back from Sydney with a number of action items, and spent most of the day doing that. One of the more arduous was to find a way to convert Liz' Microsoft-based documents into something open. Every time I work with Microsoft, I find some new problem. Today I found it couldn't recognize my PCMCIA Ethernet card (which worked out of the box under FreeBSD), but on the other hand it did recognize the Xircom card I have. The only problem was that DHCP wouldn't work, there doesn't seem to be a way to start it from Microsoft, and even after configuring manually (“You have changed the default route. 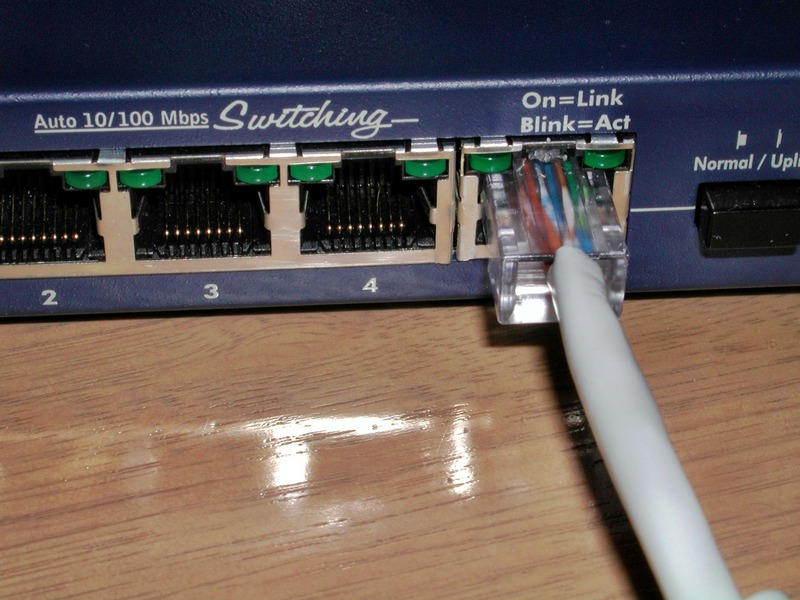 In order for this change to become effective, you must reboot your computer”), their IPCONFIG program claimed 0 Ethernet adaptors, but gave the correct information. Also got a phone call from SkyNet Global, who to their credit took a lot of trouble trying to find out what went wrong on Saturday. It's difficult after the event, of course, so we agreed to have them waiting to monitor things the next time I travel. Spent all day catching up with the AUUG stuff. It's only a month until the AOSS, and we still have almost nothing arranged. Also spent more time trying to find ways to get the Microsoft documents into some useful form. The tilers came with the news that they had to go to a funeral tomorrow, and that we probably wouldn't get the kitchen back until the weekend. *sigh*. In the evening into Adelaide to a commercial presentation to which we had been enticed by a free week's holiday (well, accommodation, anyway). Turned out to be a presentation of RCI's co-ownership holiday apartment concept. The only thing that seemed even vaguely worthwhile was only available if we signed up immediately, so we declined. On further thought, that was the right thing to do. The whole idea doesn't bear careful scrutiny. Yvonne was quite annoyed at the high-power sales techniques. After that to the Alphütte restaurant, which makes some quite interesting claims about its food. We were disappointed. Firstly, the place is so loud that we could barely hear ourselves speak. That's a common problem in Adelaide, but we hadn't expected it here. I was more surprised that they didn't have a wine list; you had to go to the bar and search for bottles for yourself, no description, rather like in a bottle shop. Found a Chapel Hill Verdelho which was, in fact, quite nice. The food was another matter. The entrées were OK: Yvonne had a Bündnerteller with a rather strange presentation, and I had Sashimi with European sauces, which didn't match. Yana had some kind of prawn cocktail which was apparently quite good. But the main courses were disappointing. Yvonne had a grilled snapper, I had venison (“Hirsch Medaillons”, written as two words), and Yana had “Emmentaler Poulet”, which was basically a Cordon Bleu without the ham. They also recommended a “Roschti” (Rösti). The real shock was when they served the same vegetables with each dish: baby carrots and haricot verts. I've only ever seen that before in England. We rather pointedly left them behind. The Rösti was made with English potatoes. We have been experimenting with Rösti, which we used to make frequently in Germany. The problem is that there are two different kinds of potatoes, English and continental, which seem to have reached Europe from different parts of America, and they look and taste quite different. In particular, European potatoes tend to have a starchier, yellowish flesh, while English potatoes are white or even translucent grey when cooked. The English potatoes also have a slight bitterness under some circumstances, including when made into Rösti. We had decided not to make Rösti unless we could get the right potatoes. I'm sure the Alphütte could get hold of the right ones, but it doesn't seem to bother them. Yana's “Emmentaler Poulet” was not only lacking ham, it was also not salted enough, and tasted thoroughly boring. All in all, a bill of $170 for a meal which, had we eaten it at home, we would have considered less successful. Finally registered Vinum with Sourceforge, after several particularly painful attempts. I hope somebody moves the bloke who designed the new account registration to the Maledives so that he will never, never again create a time zone button which displays all possible time zones on a maze of twisty little menus, all different. The first time I tried, I had to move the browser window off the left hand side of my 1920x1440 screen in order to be able to display Australia/Adelaide. Then I discovered that somebody had taken my user ID, grog, and that the form had reset my time zone to GMT. The second time the passwords didn't match. And every time the form got reset. Grrr. Also a lot more work on the AUUG stuff. I think today must have been an all-time record for the amount of traffic on the auug-exec mailing list: 35 messages. We now have a much stronger team for the annual conference, and I have verbal commitments for more than half of AOSS-3. More work on Vinum. I have now found a way to destroy the on-disk configuration and panic the machine. I must find a way to do the former without the latter. Two work-related anniversaries today: 25 years ago today I started work with Karstadt AG, and 19 years ago today with Tandem computers, now the Himalaya division of Compaq. How time flies. More running around today. The AUUG committees have been more active than I can ever recall. Sent out a message about member DNS and mail services; like the one about CD-ROMs, it was well received. The phone didn't stop ringing today. ABC had an interview with Douglas Adams, who died a week ago, and for once I wanted to listen to it, but I was interrupted no less than 3 times, and finally gave up. Later I had a call from Richard Sharpe interrupted by Liz Carroll, and while I was talking to her, Yana called up wanting to be picked up from school. Roll on drivers licenses. I told her I'd call her on her mobile when I got there, but she had forgotten to charge it. Tough. Tracy has been trying to send me some documents from Canberra since the beginning of the month. She has sent two copies by mail, neither of which arrived, so she decided to fax them. The fax jammed up. Something up there doesn't want me to receive them. Took the opportunity and finally installed Hylafax. I did this once before, and even described it in The Complete FreeBSD, but it was difficult. Things are a lot easier now, or they would have been if one of my telephone lines hadn't died at that point. It's been raining a lot lately, and I had visions of all five lines dying again, but while I was investigating the local wiring, it came back. Yana then brought me her phone, which wouldn't charge. In fact, it wouldn't do anything: it was dead. Called up Mobile Innovations, who told me to send in the phone and they would have it repaired in three weeks or so. They didn't consider this unusual: Amanda said “these are the agreements we have with our suppliers, that's what it takes”. I told her I would cancel the contract for lack of fulfilment on their part, and was transferred, but the contracts department wasn't interested in the reasons: if I cancel, they want full payment anyway. Tried to speak to a “team leader”, but there wasn't anybody there at that time, so all I got was a promise for a call tomorrow, and was transferred to Ericsson service, who told me that I could have had a complete exchange if the phone were less than a month old. How old is it? 35 days. Grrr. They gave me the number of a service centre in Mile End, and told me that a normal turnaround would be about 24 hours. Let's see whether that team leader calls, and if so, what he has to say. Finally got my packet from Canberra today, the one sent on 3 May. That's 15 days by normal mail; doubtless Tracy's second package will arrive in a week or two. What is it about mail from Canberra which takes such a long time? Finally Russell Burfield finished enough of the HiFi cupboard for me to be able to install stuff. The tilers finished too, so the place looks quite a bit different from the beginning of the week. Spent most of the afternoon rearranging. Photos here. Lilac is gradually coming to accept Perdita. Took a couple of photos. No phone call back from Mobile Innovations, despite their promise. Somehow that doesn't surprise me. Up early this morning to try to get the house back to a semblance of normality. Got the electrical equipment back in the kitchen and then happily left the rest to the cleaners. What a mess. Spent the rest of the day in catch-up mode. I do too much of this. Yvonne washed the dishes this morning, and came back to find our newly tiled floor awash in water. Seemed that the drain hose had fallen apart in a spectacular way. Tried to tape it up with duct tape, but that didn't work, and neither would garden hose (the wrong diameter), so braved the redbacks and went out into the shed, armed with a can of fly spray, to get the hose off the old dishwasher. That was in much better condition, but for some reason it kept kinking when I replaced the dishwasher in its cutout. Finally off to Mitre 10 to buy a new hose; I was rather surprised to find one on Sunday. Bingo! I was able to raise a fault report with Telstra, number S12976021. In the meantime, Bill took down the link, and things started working again. Got a call back from a Telstra representative just within the 2 hour response time limit. She apparently hadn't been given the details, but it wouldn't have helped, since she didn't really understand Internet routing. Haven't I heard that somewhere before? Anyway, Bill had restored the connectivity, so we agreed that somebody else would call me tomorrow. Read the newspaper for the first time in ages. Adelaide Cup day today, so it was theoretically a holiday, for all the difference that made. Got a call from Telstra quite early, and learnt that they had just taken the system at net.reach.com into service on Friday. The bloke explained that Bill was obviously a “level 1 support person” at Yahoo!, since they had on-site personnel who were liaising with Telstra. He didn't explain why it had taken my fault report before anybody noticed anything. Finally it has stopped raining, but the grass is still very wet. I wonder when we'll finally be able to spray the weeds. More work on Vinum. It seems that we have a number of DEVFS issues. It doesn't seem to like directories, of which Vinum makes extensive use. In the afternoon, while replacing a folder in a bookshelf, managed to press the reset button of battunga.lemis.com. Grr. The machine had been up 185 days, since the power failure on 15 November 2000, where the UPS also gave out. It hasn't been up as long as flame.lemis.com, which survived that power failure and had been running since the really heavy failure in the middle of the night of 3 October 2000, but it still annoyed me. Took advantage of the outage to upgrade it to FreeBSD 4.3-STABLE (previously it had been running 4.1-STABLE), and to clean out the mess inside. I wonder why spiders love to build webs in computers. Also disconnected the reset button. Finally got called back from Mobile Innovations. They explained that sending the phone back to them was a feature, not a bug. In the meantime I had discovered that Ericsson offers a 3 hour turnaround for phones under guarantee. That's a little different from Mobile Innovations' 3 weeks. I wonder what the TIO thinks of that. The tilers came in this morning to tile the lounge room floor. They got the old carpet out in no time, and came across some pretty impressive cracks, so much that we decided to get the opinion of Ron Selth, the engineer who designed the slab for the extension, before continuing. At least I can now understand his insistence on a very heavy slab. Bruce Long and his three helpers left, none of us too happy. Assuming we can tile the floor, it'll be at least a week before they can start. Somehow I'm flat out just doing normal things. Finally committed my Vinum changes, and then went straight on to get one version of vinum(8) to work both with the debug module and the non-debug module. This was somewhat hampered by the fact that the VM system is currently broken. A lot of admin stuff this morning. Finally got some important documents sent away, then Yvonne off to town to look for loungeroom furniture and get Yana's phone fixed. They put me back in contact with Peter Kingston, who played around a while and got things sort of working, but DNS to safeport's servers still didn't work. Left a message for Peter, who called back some hours later to say that it was over, and so it seemed; some lingering routing problem, apparently. What a way to spend the afternoon. In the evening finally got the “single userland vinum(8)” working. Previously it had to match the kernel module, which could be compiled with or without debugging code. Now it will adapt to both. Woke up to find that I had broken make world yet again with yesterday's Vinum fixes. That pile of pointy hats is growing. Finally got round to spraying the paddocks. The weather was by no means ideal; although we've been having sunshine all day for the last three or four days, the weeds were still quite wet. Still, we're expecting rain tomorrow, and the weeds are also growing, so this is about as good as it is going to get. Yvonne also borrowed Greg Edmonds' four-wheel motorbike and sprayed under the fences. Ron Selth, the engineer, came along in the afternoon and checked the lounge room floor. No problems with tiling, which is good news. Bruce Long came along later and helped us decide which of the sample tiles would be suitable. Looks like our hardware is going to be here in a couple of weeks. Talking to Alan Modra, decided to take a look at the PPC port of gcc. Got the latest version from gnu.org and started trying to build a cross-compiler. I'm missing some obvious things like header files and libraries; may have to postpone it until I get my hardware. I note also that the whole gcc build process has changed a lot since I last worked with it. Today was supposed to be a quiet day, and I didn't do much work. Yvonne took Orlando, our Standardbred gelding, to give to a friend, and in the process managed to unhook the new float. Fortunately no harm done, but it took a while to sort out the mess. Yana is coughing yet again. Carted her off to the hospital to have her looked at. The doctor treated her for bronchitis, but looks like there's a possibility of asthma. Another day when I intended to do nothing, but Peter Wemm asked me for an MFC for the last Vinum patch. Applied that, built a new -STABLE kernel, and watched the machine panic on the first ifconfig. Grrr. Somehow I never got started on anything today. The proximity of the end of the month and my requirement to submit my “Daemon's Advocate” article seemed to take up all available time. I did get a chance to MFC the Vinum retryerrors code for Peter Wemm, though. Today was cut in half by the funeral of my uncle Max Schaedel, Audrey's husband, who died last week after a long illness. The service was interesting: I had never known Max very well, but it seems he was the greatest fisherman who ever lived. On the way home, through McLaren Vale to Chapel Hill Winery to buy some of the Verdelho we had at the Alphütte a couple of weeks ago. Unfortunately it was the only interesting wine they had, and they weren't prepared to give any quantity discount, so only bought half the quantity we had intended. On to Rosemount, where they were sold out of the only wine we wanted to buy there. sigh. I had suspected that this was a problem with Pos1-1.paix1.PaloAlto.net.reach.com (203.50.126.26), but that didn't show. Everything pointed to verio, except for the failing ICMPs back from hop 6. When it finally came back, however, some hours later, hop 6 was responding, so I still don't know whether it was net.reach.com or verio. Visitors in the evening, Phil and Sue Macintyre from Queensland. What a day! Roz, the person who had taken Orlando at the weekend, called up in tears saying that Orlando had half killed her favourite lamb, and that we should come and take him back Right Now. She got quite upset when I pointed out that we had other things to do. And that was true enough. Down to Echunga to get Jim Couch to check the float after it had come unhitched last Saturday. Looks like pilot error; nothing wrong with the float. When I get back, Liz Carroll was on the phone wanting to have documents updated for AOSS 3, keeping me until I hardly had time for lunch before going to pick up Yana. Today was Yana's 16th birthday, the day she could legally get a permit to learn to drive. Off to the Strathalbyn police station, where we had confirmed yesterday that she could do the theoretical test, but they were shut: we had arrived earlier, during their lunch break. Off to Mount Barker instead, where Yana took forever to finally pass the test. Drove on to Murray Bridge to get the permit issued. Murray Bridge is about the same distance as Adelaide, but the roads are better, and there's less crowd. We were in the Rego building for less than 5 minutes before getting the permit. Off back home and let Yana drive on the open road for the first time. She managed about 30 km before deciding that it was a little tiring.